In a tale of both epic – and miniature – proportions, the unusualists over at Hendrick’s Gin will celebrate this year’s London Cocktail Week with a three-night celebration of the most sophisticated of drinks, the martini – by launching the diminutively delightful: Hendrick’s Gin Tini Martini. 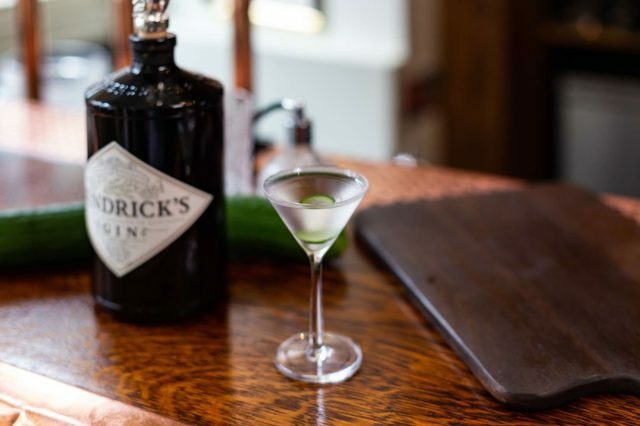 From the 3rd to the 5th of October, Tini Martinis will be served exclusively at the aptly named Hendrick’s Gin Tini Martini Bar located at Swordtail Studios in Haggerston. The highest regard will be paid to the mighty mini through a succession of takeovers hosted by internationally renowned bartenders. For an exchange of £12, patrons will be invited to experience at least six complimentary expressions of the Tini Martini from some of the world’s most highly acclaimed bartenders coming from all corners of the globe – featuring the likes of our native Dukes Bar and The London EDITION, to American favourites Employees Only and Sweet Liberty, and finally European superstars Kinly Bar, Schumann’s Bar am Hofgarten and *ISK.